A grieving family is speaking out after, they say, a United Airlines flight attendant forced them to put their dog in an overhead bin, where he died in flight. The 10-month-old French bulldog was kept there for the entire three-and-a-half hour trip from Houston to New York Monday. The airline has apologized. United Airlines issued a statement accepting full responsibility for the incident, which it says is under investigation. 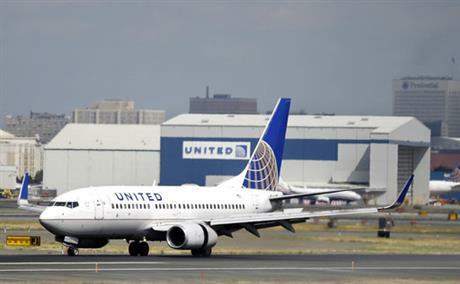 Still, many are wondering how an experienced flight attendant could let this happen, reports CBS News’ Kris Van Cleave. “‘It’s a dog, it’s a dog.’ He can’t breathe up there.’ And she said, ‘It doesn’t matter, it still goes up there…. She felt the dog and she put him up there,” Sophia recalled. Retired airline captain Denny Kelly says the pitch black overhead bin is dangerous for any live animal. Kokito’s owners hope others learn from this death. The family says the flight attendant claimed afterward that she didn’t know there was a dog inside the bag. She’s been described as distraught. The American Kennel Club says a French bulldog’s short face can make its breathing less efficient. They stress easily, increasing their need to breathe.